A MAN who refused to hand over his phone to police during a search warrant for fear they'd see a text from a mate asking for drugs has been released on parole after facing court. 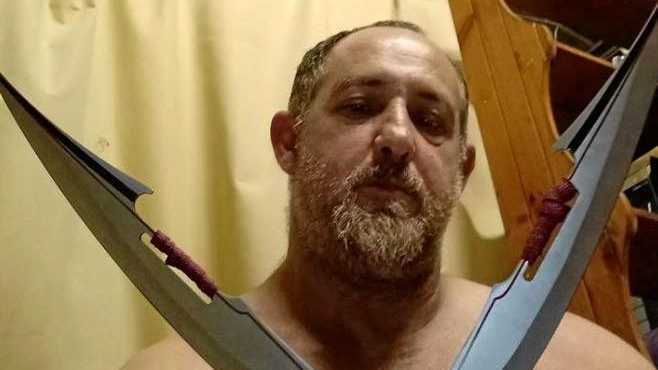 Brett Sands, 47, pleaded guilty in Bundaberg Supreme Court to unlawfully possessing methylamphetamine in excess of two grams, possessing marijuana, possessing explosives and possessing utensils in connection with the use of dangerous drugs. He also plead guilty to contravening an order under section 154 of the Police Power and Responsibilities Act 2000. The act gives police the ability to access information on electronic devices. The court heard on February 20 last year, police busted Sands with 4.726g of meth and 414g of marijuana. Several hundred grams of marijuana was found in a kitchen cabinet. Sands claimed the marijuana was the remainder of a stash used to make cannabis oil for a sick friend, who had since passed away. Police also found two fireworks, a bong, a glass pipe, scissors and electronic scales. But when they found Sands' phone and saw a suspicious text, he refused to hand over the pass code. A screenshot of the text was presented as evidence in court. "Hey mate, have you got half an ounce of weed?" it read. It was the fact Sands owned the scales, and the text message from his friend asking for drugs, which formed the basis of Crown Prosecutor Ron Swanwick's submission that there was a commerciality to both the marijuana and the meth. Justice Peter Davis agreed Sands' conduct alluded he was "conscious of something" but declined to accept the meth was for anything but personal use. "(Because) of the quantity, scales and evidence of consciousness of guilt (in refusing to show police the phone) ... the phone also refers to cannabis," Judge Davis said. "The crown submits there is a commercial flavour to the cannabis." Judge Davis said he didn't believe Sands was "possessing cannabis specifically for supply", but acknowledged he was a "person who has access to a significant quantity of cannabis and are of mind to sell it if the opportunity arose". The defence argued his client's actions were not "profit driven", saying Sands had suffered a marriage breakdown due to addiction issues with meth. Sands was sentenced to 18 months imprisonment with immediate parole.